Convertidor D/A. 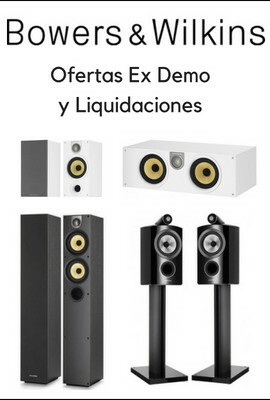 Entradas: 1x audio digital, 1x i.LINK, 2x XLR, 1x RCA, 1x óptica, 1x word clock, 1x BNC. Salidas: audio analógico, 1x XLR, 1x RCA, 1x world clock, 1x BNC The D-05 is the world’s first D/A converter incorporating the “AK4397” Delta-Sigma DAC device. This device has 32 bit processing capability. The “AK4397” was designed combining newly developed high speed / high capacity digital processing components and improved analog processing components providing premium quality sound reproduction. 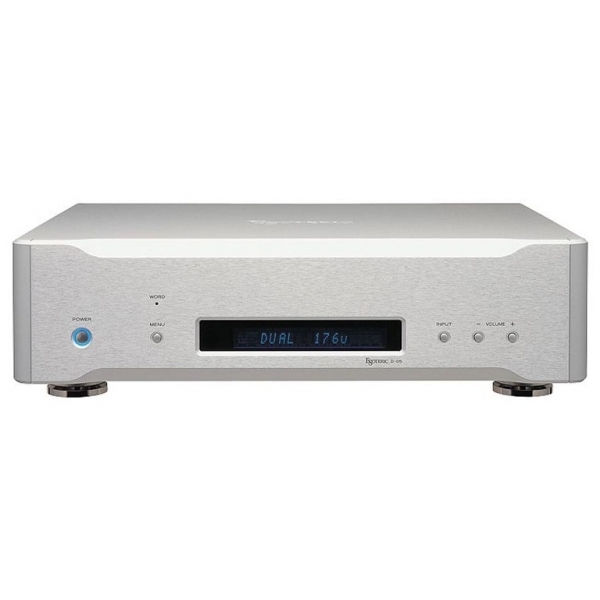 The D-05 DAC supplies extremely natural and “true-to-life” analog signals to the amplifier by using the latest 32 bit digital to analog converter devices. The D-05 is the world’s first D/A converter incorporating the “AK4397” Delta-Sigma DAC device from AKM Semiconductor, Inc. This device has full 32 bit processing capability. The “AK4397” was designed combining newly developed high speed / high capacity digital processing components and improved analog processing components. This device provides premium quality sound reproduction on a professional level. The “AK4397” has a superior and precise D/A conversion capability thanks to its fully extended 32 bit processing throughout all stages, including digital filter and the “Delta-Sigma,” modulator. This high performance technology is an evolutionary upgrade path from conventional 16 or 24 bit D/A converters. The D-05 incorporates dual mono digital and dual mono analog circuits, with dual mono power supply components to achieve extremely high resolution and superior channel separation. This design follows in the footsteps of Esoteric’s D-03 dual mono D/A converter. Word clock input and output is included for use with Esoteric transports or stand alone master clock sync generators. D-05 specifications: [Audio features] Total harmonic distortion; 0.002%, Freq. response (Super Audio CD); 5 Hz - 20 kHz (+0.5 dB, –3 dB), Signal-to-Noise Ratio (S/N); 112 dB (JEITA) [Input terminals] Digital audio input; i.LINK (AUDIO) terminal (6-pin x1, 4-pin x1), XLR x 2 (Use 2 terminals for Dual AES output), RCA x1, OPTICAL x1 Word clock input; BNC x1 (44.1, 88.2, 176.4, 48, 96, 192, 100 kHz) [Output terminals] Analog audio output; XLR x1 (L/R), RCA x1 (L/R) Word clock output; BNC x1 (44.1,88.2,176.4,48,96,192,100 kHz) [Dimensions] (W x H x D); 442 x 124 x 332 mm (17-3/8” x 4-7/8” x 13-1/16”) [Weight] 13 kg (28-5/8 lbs).